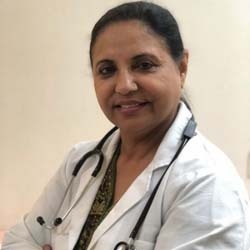 Dr. Rita Bakshi established Adiva in 2004 and then went on to establish International Fertility Centre in 2012 where she continues to work on various ART procedures till date. As an IVF specialist and under her leadership, the center had begun to develop a national reputation for excellence in both pregnancy and delivery rates within its first five years of operation. Having dream project to help couples towards Parenthood, Dr. Rita Bakshi establishes various IVF and ICSI centers in several cities of India. Over a span of 10 years, Dr. Rita is now associated with several successful IVF centers set-up in Haryana and Rajasthan. The various techniques of assisted reproduction including ovulation induction, IUI, IVF, ICSI, Egg/sperm/embryo donation, and surrogacy are now performed at IFC clinic with an outstanding degree of care and support of international standard and success. Dr. Rita Bakshi now performs more than 1000 cycles of IVF and ICSI per year at IFC head office in New Delhi with more than 50 percent success rate. Performed more than 6000 cesarean sections, 3000 Hysterectomies including non-descent Hysterectomies even up to 16-week size uterus. Has done more than 1000 cases of IVF annually at all the centers with a success rate of over 45%. Have Done Tubal recanalization using the microscope with excellent result. Have successfully dealt with male infertility, testicular biopsy, frozen sperm ICSI. The success rate of over 80% in Egg Donor Surrogacy.